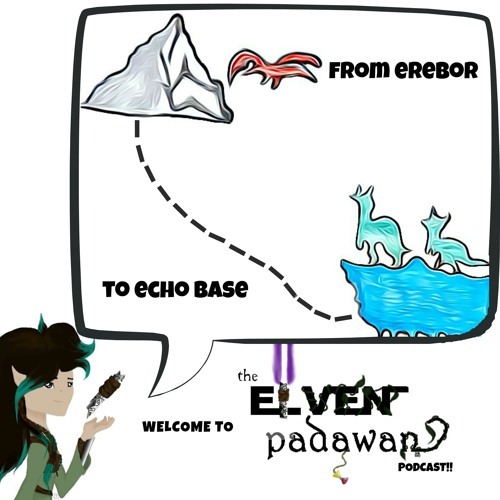 Finally, another episode of The Elven Padawan podcast! In this episode, Shay interviews Star Wars fanfiction writer, Aceofstars16! Ace is also a HUGE Star Wars Rebels fan, so you probably already know where this is heading. Besides the interview (and obsessing over Rebels), the girls also discuss their Star Wars OTPs, social media, The Last Jedi, Mortis connections with the rest of the saga, and what the canon lifespan of a Twi'lek is. Please subscribe and leave a review on SoundCloud, iTunes, and GooglePlay Music! Follow on Twitter: twitter.com/ElvenPadawan If you have a question or comment, send them to me through Twitter or the contact box on the site (shay@elvenpadawan.com is currently down, but we're working on it!) Check out the website for shownotes and a complete list of all soundeffects and music used in this episode: www.elvenpadawan.com. Users who like The Elven Padawan - #13 - Featuring special guest, Aceofstars16! Users who reposted The Elven Padawan - #13 - Featuring special guest, Aceofstars16! Playlists containing The Elven Padawan - #13 - Featuring special guest, Aceofstars16! More tracks like The Elven Padawan - #13 - Featuring special guest, Aceofstars16!